My wife and I booked our honeymoon for 13 days in the Cook Islands, and it was such a fun and relaxing experience. Located about 2,000 miles off of the coast of New Zealand, this is a popular travelers destination for both Australians and New Zealanders. Here’s everything you need to know about booking your very own vacation to the Cook Islands. This place is BEAUTIFUL! Check out this video. My wife in the beautiful crystal blue waters! Best sunset of the trip by far! The Cook Islands are a self-governing nation in free association with New Zealand. It is made up of 15 islands, Rarotonga being one of them. Rarotonga has a population of ~10,000 people. Many people that grow up in Rarotonga, however, realize the limited opportunity and move to New Zealand or Australia. All of the Cook Islands. Although the Cook Islands are so far West, they are actually in the same time zone as Hawaii. And the weather is extremely similar to Hawaii – lots of rain and very humid. The Islands are extremely religious. There are churches everywhere, and the Islands basically shut down on Sundays. The main churches practicing are Christians, Seventh Day Adventists, Mormons, and Catholics. For you dog lovers, there are domesticated dogs everywhere! They are harmless, so feel free to say hi. My wife and I found extremely cheap flights out of LAX to RAR during Black Friday 2017. We were able to book 2 round-trip economy flights for roughly $1050. Air New Zealand also gives 1 free checked bag for each passenger so that saves additional money. We used the Costco Anytime Card to earn 3% back on Travel and used the cash back to help fund our honeymoon. The Air New Zealand 777-200 was a beautiful plane to fly on, even in economy. However, the customer service was not the best. The coffee was pretty disgusting too! I should have paid attention to this advice about why you should avoid coffee on airplanes. 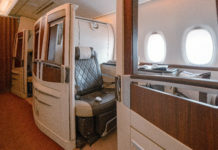 These flights typically range from $1200-1500 per person, so we were lucky to find these so cheap. We did earn a decent amount of airline miles. Just a note, Air New Zealand is a part of the Star Alliance if you are a United flyer. Air New Zealand is becoming famous for their new product, the Skycouch. Many of us peons in economy love when our entire row is empty, especially with kids. Now, you can actually reserve all 3 and make it comfortable! This product does fit 2 people, however, height may come into play here. Regardless, very innovative and creative from Air New Zealand. If you want to use hotel points for your stay in Rarotonga, you may be disappointed. With my wife being a Marriott loyalist, and myself with Hilton, it was tough to know there are no large name brand hotels in Rarotonga. At all! However, there is still a plentiful amount of various places to choose from. And at all different budgets! Click here to see the latest Raratonga hotel deals. Many of the mom and pop hotels and resorts are a bit dated, lack the amenities we’re used to, and charge high prices due to the lack of competition. If you do stay at an updated resort, you are looking at a large price tag. Knowing this, we decided to go with a lovely Airbnb. With a full kitchen and such, we spent about $140 a night. The property owner lived next door, which was nice. They were so helpful and welcoming and even gave us recommendations around the island. Save money: Get $40 off your first Airbnb stay here! I booked my AirBnB reservation on the Hilton Ascend Amex to help meet the minimum spend. I earned 5,400 points, valued at roughly $32. Usually, you would want to book a hotel reservation with a credit card that earns bonus points for travel expenses, but when you’re looking to hit a minimum spend on a new credit card, earning those bonus points is your primary focus. Even if it means only earning 1x points for your purchase. 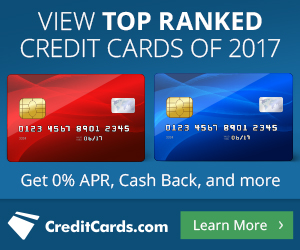 A perfect card to use in this situation is the Capital One Venture card because its rewards can be used for any travel expense. Rarotonga is about 50 miles in circumference. There are buses that travel all around the island, but renting a car is your best option. Island Car and Bike is the largest provider on the island, and they have very affordable pricing. For those of you that love your rental car coverage through your credit cards, be aware that the Cook Islands is part of New Zealand. New Zealand is NOT covered under American Express’ rental car coverage. The Costco Anytime Card does cover your rental in New Zealand. Be sure to consult your credit card company before booking. If you are feeling adventurous, there are scooters for rent as well. However, be aware that island rain doesn’t feel very good hitting your face at 20 miles an hour. Internet is a luxury in Rarotonga, making it extremely expensive. If you absolutely need internet access, you may want to purchase a Blue Sky Card from a local convenience store. It is very similar to a phone card. There is one local television station and two radio stations, so be ready to essentially be cut off from civilization. It is extremely enjoyable to be disconnected so you can relax and enjoy the island, but it is definitely an adjustment in today’s hyper-connected society. Bring books, movies, and other non-internet entertainment! Many apps have downloadable, offline content including Pandora, Audible books on tape (use our link & get 2 free audiobooks), Netflix, and Amazon Prime movies (free 30-day trial with our link). This was probably our biggest pain point of traveling here. The food selection is very limited in choices and flavor. Many of their food choices are very poor copies of typical American plates such as burgers, pizza, and others. My wife and I are not fans of fish, but the fish is supposed to be excellent here as it is straight from the ocean to your plate. I know, I know. Why would we fly halfway around the world to an amazing island when we don’t like fish? You can’t let your food choices dictate where you travel to. We did sample some of the local dishes and were pleasantly surprised. One of the ways that we save money on food while traveling is to buy food from local grocery stores. However, given how small the island is, there is a limited selection of grocery stores, and we found them to be expensive. As for a few notable restaurants, give these a try! For you beer lovers, Rarotonga local brew beer tastes exactly like Bud Light, which was a huge disappointment. Shopping in Rarotonga is pretty limited. So if you are a shopaholic, this may not be the place for you. However, the one thing to buy is Black Pearls. The Cook Islands is the world’s second largest producer of black pearls. As for currency, there is the Rarotonga dollar and the New Zealand dollar. Both are accepted at a 1:1 ratio. American dollars are not accepted in Rarotonga. However, you can visit a local BSP (Bank South Pacific) or Moneygram, and they will exchange your money at a fair rate. Consider signing up for a Charles Schwab or Aspiration Summit checking account. Both of these bank accounts do not charge for using other banks’ ATMs and they’ll reimburse you if you are charged any ATM fees. For us credit card users, Visa and MasterCard are accepted in most stores and restaurants. My wife and I exchanged about $200 in US dollars, which lasted us plenty! American Express is not accepted. One thing we ran into was a lack of activities. However, if you love sitting on a beach getting tan, there is plenty of that! There are snorkeling excursions available that I would highly recommend for all ages! Koka Lagoon Cruises was a great time for Kiersten and me. We didn’t do it, but an off-roading excursion could be a great way to explore the island! Rarotonga is an island with a very slow pace. Everyone is on “island time” as they call it. We found it to be a great place to escape with your significant other and get some much needed R&R. We stayed for 13 days but quickly ran out of things to do. Unless you love sitting at the beach, things can get stale fast. However, the long flight and plenty of chill time gave Kiersten and me plenty of time to talk about our future together and create an action plan to reach our goals. Something every new couple should do. While this wasn’t a large points redemption victory, Rarotonga and the Cook Islands are a must see! It was an awesome trip for the both of us! You can’t let your food choices dictate where you travel to.- Imagine I CAN! I totally agree. I’m picky with food. Even worse than Brett and Kiersten, but I never let it stop me. As a 43 year old with a little bit of “Dad Bod” I could stand to skip a meal anyway. I just bring snacks with me to ensure I have something in my belly when I’m concerned there won’t be food that works for me. But I will always travel and not let food issues stand in the way. I’m proud Brett and Kiersten did the same! How were prices on food and drink? Often, smaller islands have very high prices for these. Very expensive! However, I found it to pretty much be the same price for eating out vs. cooking at home. Except for 1 or 2 of our meals. A double meat, double cheese, double bacon burger at villis is $12.50 nzd.. About $8.30usd. Probably bigger than a double 1/4 pounder..
Dont tell me you didn’t go to Aitutaki, it has the second best lagoon after Bora Bora! Unfortunately, we didn’t go. It wasn’t on our itinerary. But we definitely should have! My thoughts exactly! “Ultimate guide to the Cook Islands” and only Rarotonga is mentioned?? Bit disappointed, to be honest! Thanks for the feedback, Lisa. I updated the title of the post to let readers know that this post is focused on Rarotonga. Have a great day. Thanks for reading. I loved the food on raro.. I love fish though. But even then.. The night market, kais, villis, palace takeaways, tamarind house, Nautilus, Trader Jacks, among a few places we ate..
– One thing we ran into was a lack of activities. – We stayed for 13 days but quickly ran out of things to do. – Many of their food choices are very poor copies of typical American plates such as burgers, pizza, and others. – As for a few notable restaurants, give these a try! I booked 13 days because the flights for the specific days were cheapest. There isn’t 13 days worth of activities. As for the food, I specified “many”. Some were good, but most were pretty bad. Great post! Sounds like this would be a great four or five day add on trip to a New Zealand or Australia vacation.